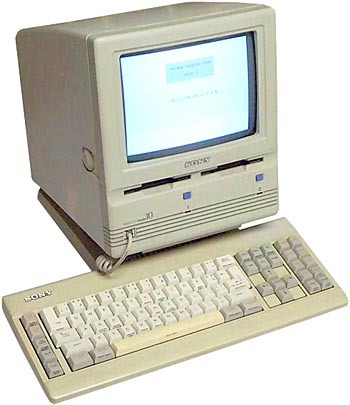 This computer is a Wordprocessor system which looks like an Apple Macintosh (but is not a Macintosh compatible). It can work with CP/M. Though it was designed as a word processing computer, it has no mouse (go figure !). It has a graphical user interface and has special keys to use with the word processor (cut/paste, move line/word etc.). see more Sony Series 35 Model 10 Ebay auctions !